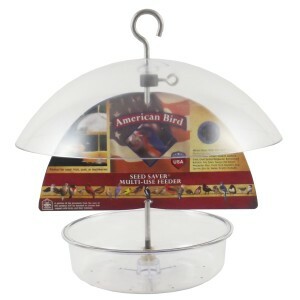 One of the best ways to enjoy wildlife in the comfort of your home is to watch birds at a feeder. 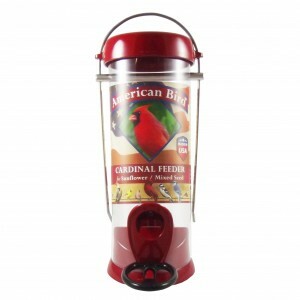 You’ll be amazed at the variety of birds that will come to your feeder throughout the year. Bird feeding can benefit birds and also provides great bird watching from your own backyard. The obvious time to feed birds is in winter when natural food supplies are scarce; however, additional species visit feeders during the spring and fall migrations, and also during summer while nesting. Baeten’s has a great selection of bird feeders from Droll Yankee and Audubon for your favorite seed mix, thistle, sunflower, and suet to keep your feathered friends well fed and happy year round. 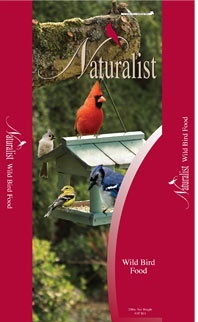 We are also carrying the several varieties of ‘Naturalist’ wild bird seed. Naturalist provides high quality mixtures that the birds love, meaning more of the product you purchase is eaten and not wasted by your backyard friends. Our wide range of mixes helps you attract the array of birds to your feeder while being affordable. Buy your preferred quantity from 5# to 50#.